Literally as I started writing this review, a headline flashed across my TV screen highlighting yet another trans woman of color who was senselessly killed while she was out minding her business, living her life proudly. Sadly, we hear this news story far too many times. They don't usually get names, and we rarely hear about a resolution in their murder cases. They're just gone, never to be spoken of again. Like they never even existed. That's what makes the new documentary, THE DEATH AND LIFE OF MARSHA P. JOHNSON, which premiered at the Tribeca Film Festival, so timely. It actually goes beyond the headlines and 140-character Twitter posts to tell the story of one of the most famous and respected transgender people known throughout the U.S. and the world. In doing so, it provides a sense of humanity to a community that has for too long been discarded and ignored. But, as its title indicates, it does so only by way of understanding the mystery that still shrouds her death. In fact, writers David France (who also directed the film) and Mark Blane present her story as an extremely cold case that deserves to finally be reconciled. At the beginning of the film, we meet Victoria Cruz of the NYC Anti-Violence Project, who decides to pursue the reopening of Johnson's case, whose 1992 death was instantly ruled a suicide, as a possible homicide citing recovered details about the mafia being after her and other harassment. Cruz remains a dominant figure throughout the film as she struggles to piece together scattered details and obtain personal quotes from those who knew Johnson especially during her last days. Thus propels a narrative that is at once enraging, deeply sad, and bold. Enraging because it highlights so many careless errors made by law enforcement in their haste to close the case. Bold because it demonstrates the passion of fellow activists in the community who go out of their way to protect and honor their own. And sad because this 25-year-old case remains unsolved. Further, it has been followed by countless other deaths in the community who don't get a chance for their stories to be told on the big screen. Often times, their deaths don't even make the obituary section in their own local newspapers. The film also uses Johnson's story to tell a broader narrative about the history of LGBT activism, and those who led the fight. The late Sylvia Rivera (1951-2002) has a major presence in the film as one of Johnson's closest confidantes who provides layers to Johnson's unfinished story, noting her passion, generosity, confidence, and happiness. Together with Johnson, she co-founded the Street Transvestite Action Revolutionaries (STAR) in the early 1970s—a major staple in the movement—that provided shelter, food, and support to trans women and young drag queens, and became one of the most recognizable faces in the Stonewall Riots. 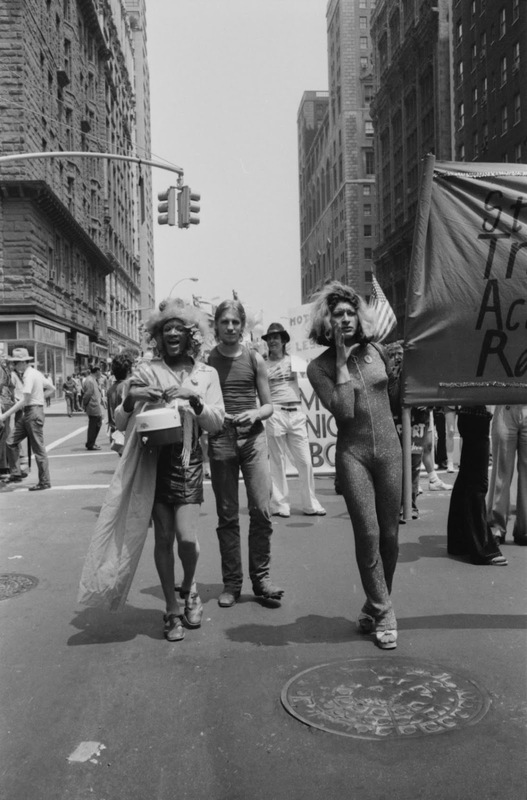 The movie also highlights the division between the Gay and Trans liberation movements, the former which many thought excluded trans people (there is a scene in the film in which Rivera takes the mic at a Gay Liberation rally and she is booed off the stage). 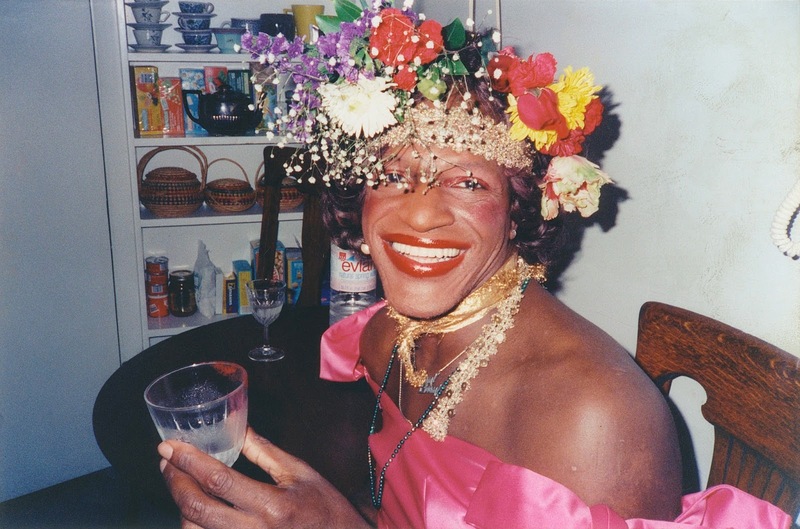 While THE DEATH AND LIFE OF MARSHA P. JOHNSON is important in many ways, including how it connects Johnson's story to today's continued fight for visibility and acceptance in the LGBT community, it evades details about her early life growing up and who she was before she became the legend. Because of that, her life is still as much of a mystery as her death. There is some footage of Johnson in her own words, mostly interacting with her friends, but most of that is narrated by those who knew or admired her. Interestingly, it is Rivera's story, albeit intertwined with Johnson's, that is more realized as she recounts her journey, and we get to spend more time with her. At its core, THE DEATH AND LIFE OF MARSHA P. JOHNSON is a celebration of a leader whose importance is finally being recognized through a wider lens. But it's also a rallying cry, a call for all of us to acknowledge, appreciate, and amplify the message of LGBT equality and liberation.